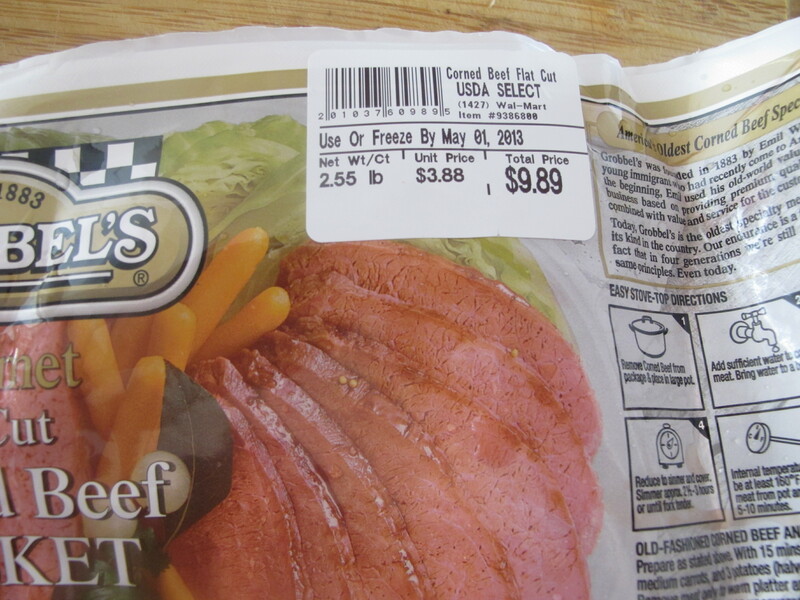 i'm from cleveland, ohio and my family introduced me to corned beef at a very early age. there is a restaurant in cleveland called slyman's. it has THE best corned beef sandwich's known to man. and woman. first of all, whenever we got there, it was always a line all the way out the door. but we didn't care. no one cared. we all wanted a sandwich! their corned beef sandwiches are piled sky high to the point where you will not be able to take a regular bite. you gotta bite half of the bite. lol. 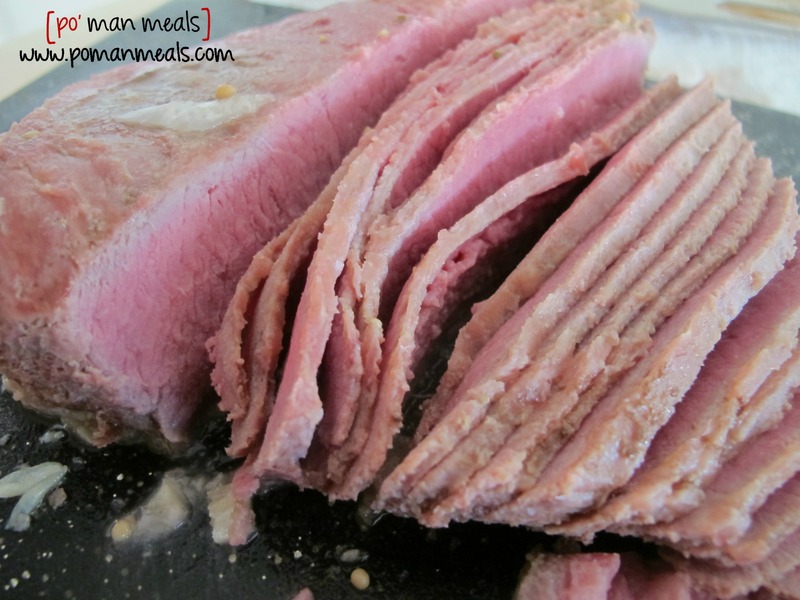 the corned beef literally melts in your mouth. 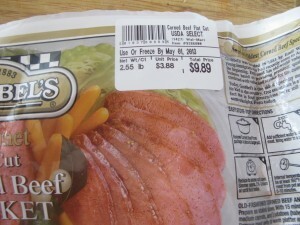 it's extremely thinly sliced and full of flavor. every time i go back home, i HAVE to go there. needless to say, my mom cooked corn beef a lot. she rarely used the slow cooker but would simmer it in a pot. she didn't really use any spices or aromatics. 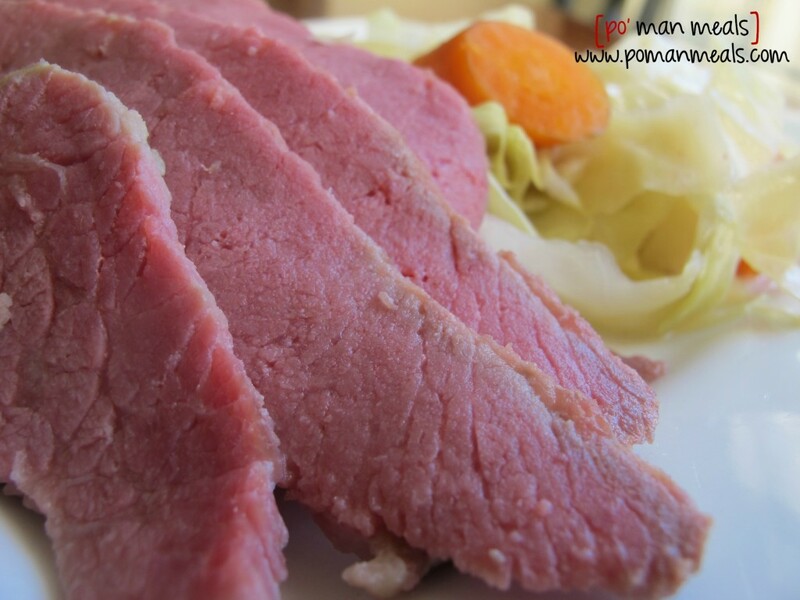 just the wonderful flavor of corned beef. i would always look forward to it. 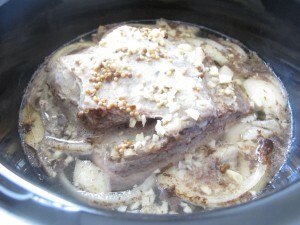 this recipe is my version but it still takes me back. it reminds me of home. 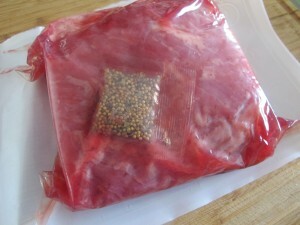 take the corned beef out of the packet and reserve the pickling packet. 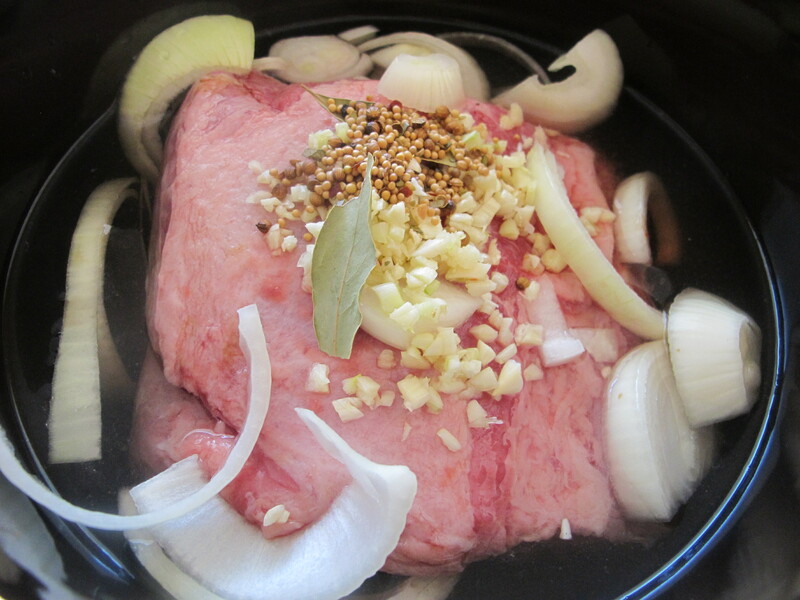 to the slow cooker, add the corned beef, pickling packet, water, balsamic vinegar, bay leaves, garlic and onion. cook for about 4 hours on high or 8 hours on low. add in the carrots and cabbage. season the cabbage with salt/pepper to taste. 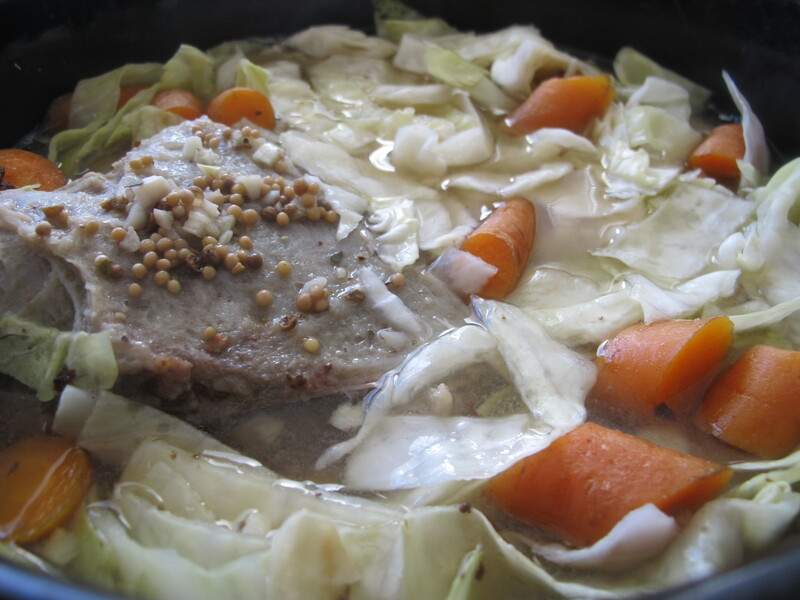 cook for another hour - 1 hour and 1/2 (on high) or until the cabbage and carrots are fork tender. remove the corned beef to a cutting board. slice to desired thickness, against the grain. 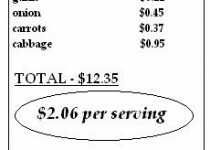 serve with the cabbage and carrots. use the leftovers for my cheesy reuben sandwiches! 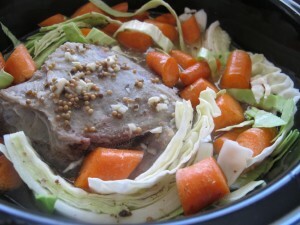 feel free to use savoy or napa cabbage, which would not take as long to cook as regular cabbage. however, they are usually more expensive. I’m from Cleveland TOO!! 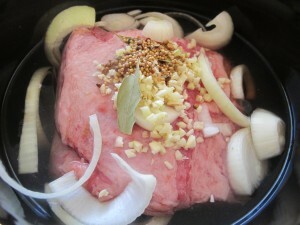 My FAVORITE place for Corned Beef sandwich or Roast Beef is GOODMAN’S !! Slymans has the best corned beef sandwich ever made! I am from the greater Cleveland area and when friends come to town that is the place to go. 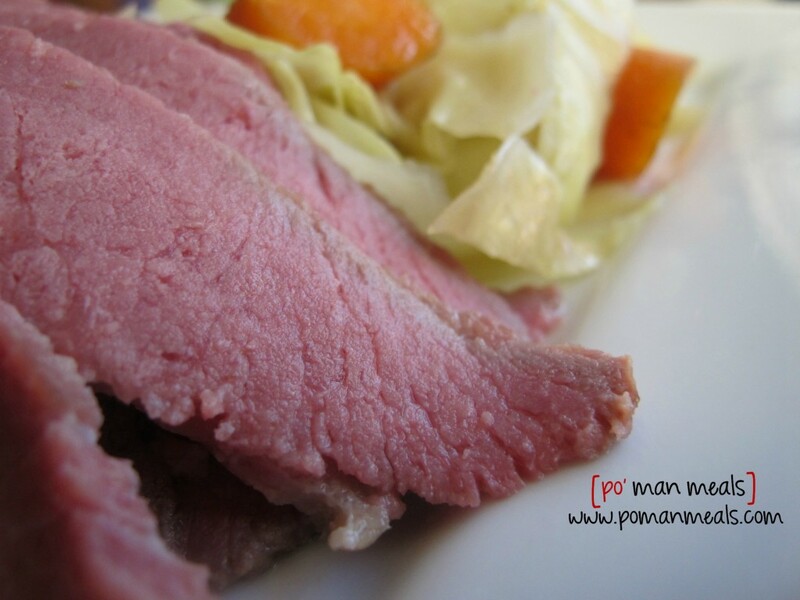 I am going to try your version for slow cooked corned beef and cabbage today; after reading several options I think yours sounds like a real winner. you are SO right, linda! it’s so cool to have a fellow cleveland area friend. 🙂 please let me know how you like it. i can’t wait to hear your feedback! I ended up not being able to make it per your instructions as I was going to be away about 12 hours so I just placed everything in the slow cooker at once and left Needless to say the cabbage was mushy and not so tasty. I hope to make your version soon as it still appeals to me.